We would like you to be an SAR Member, but this is not a requirement. Those who are unable to complete membership application or do not have a qualifying lineal descendant, but share in the values and ideals of our organization, and wish to participate in the Utah SAR Color Guard are invited to consider becoming an Associate. Eligible Associates may wear the uniform of the Utah SAR Color Guard and participate in color guard activities. Both men and boys participate with the color guard. What is the Time Commitment? The Color Guard Coordinator puts out an email notice to all members of the color guard to let them know of invitations and upcoming events. Color guard members who can support the activity respond in the affirmative. Those who are not available also respond accordingly. For major performances there is typically a rehearsal or two prior to the event and a rehearsal at the event before show time. Color guardsmen are welcome to become as involved as their time and circumstances permit. 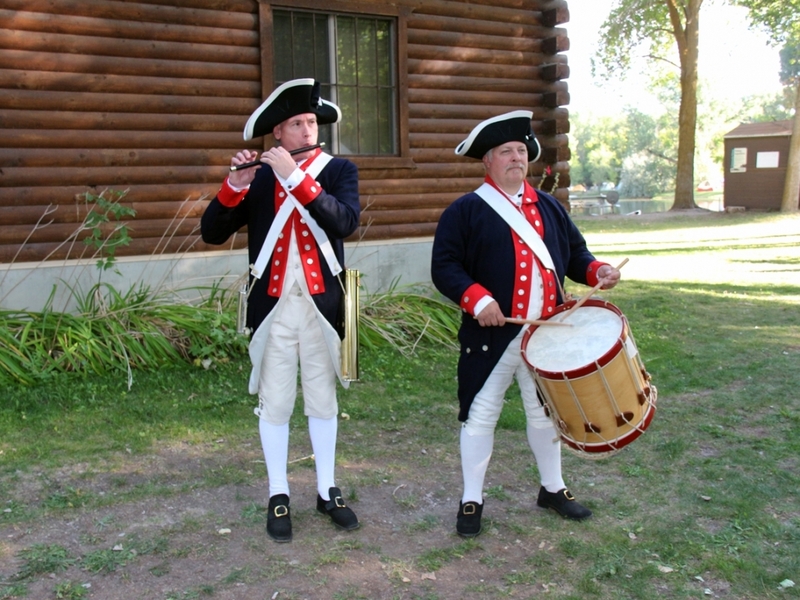 Do you play the fife or drum? We are especially interested in having musicians who can lend their musical talents to our performances. Contact the Utah SAR Color Guard Coordinator and let him know of your interest!